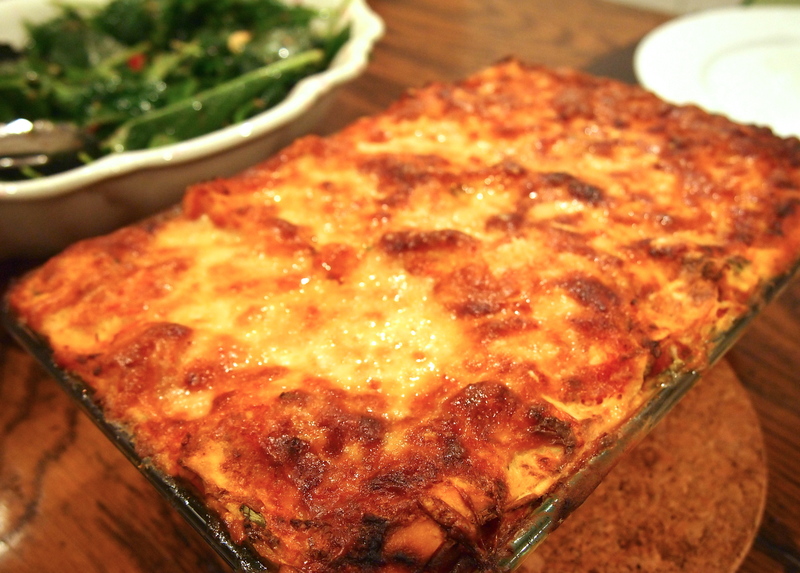 Cooking a classic lasagna can be a real labour of love – making a ragu, making béchamel, boiling lasagna sheets and then layering everything together can take a lot of time and effort. Sure it’s delicious but due to the amount of time it takes it’s not something I cook very often. When I crave lasagna but don’t want to spend a day in the kitchen preparing it this is the recipe I like to make. The meatballs are made using Italian sausages so there’s not meat mixture to prepare and I use a mixture of ricotta and parmesan to replace the béchamel sauce. I also use fresh lasagna sheets so there’s no pre boiling. The sausages are braised in a very simple tomato sauce which doesn’t need to be simmered for hours to develop great flavour. 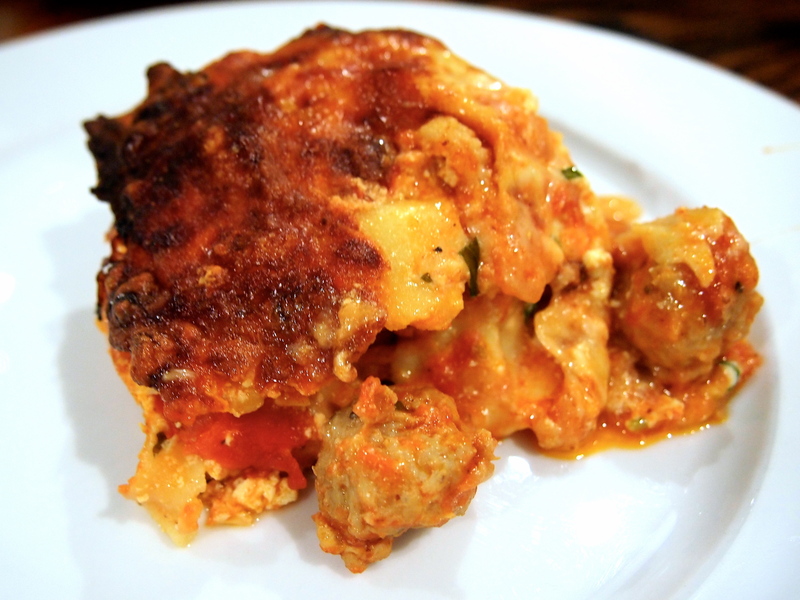 This lasagna has a slightly different flavour profile to a classic Bolognese lasagna but it’s just as flavourful and quite substantial with those cute little meatballs really packing a punch. 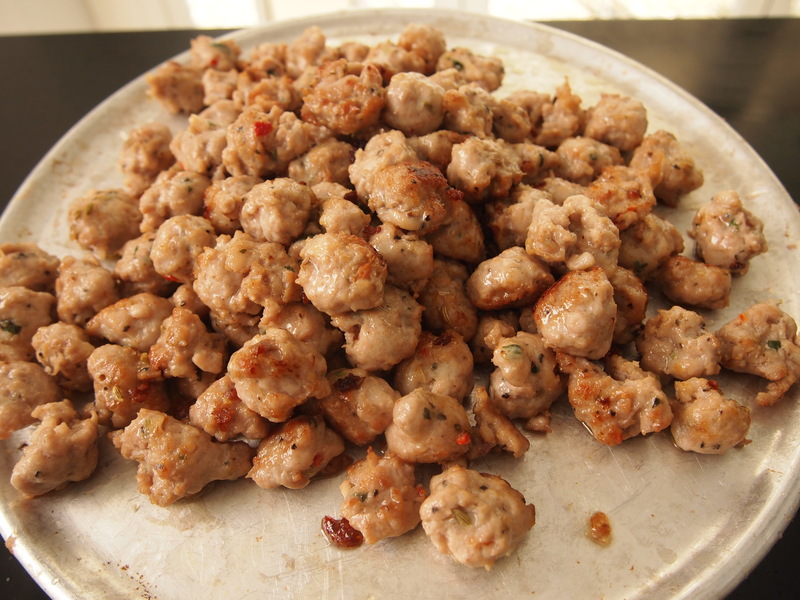 Remove the sausages from their casings and roll the meat into small meatballs. Heat a couple of tablespoons of olive oil over medium heat in a heavy based saucepan. Add the meatballs in one layer and cook turning until they are slightly golden. Remove and repeat with remaining meatballs, adding more oil as necessary, until they are all browned. 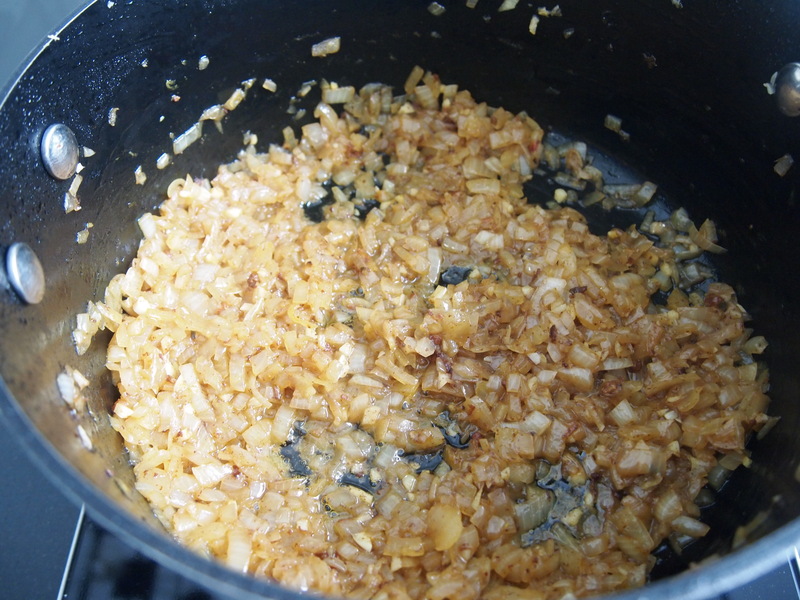 To the same pan add the onions and cook until they are soft, about 8 minutes. If you find the onions are catching add a little water. Add the garlic and cook for a another minute. Add the tomato paste and stir it through the onions well then add the diced tomatoes, plus one can of water, the sugar and season with salt and pepper. 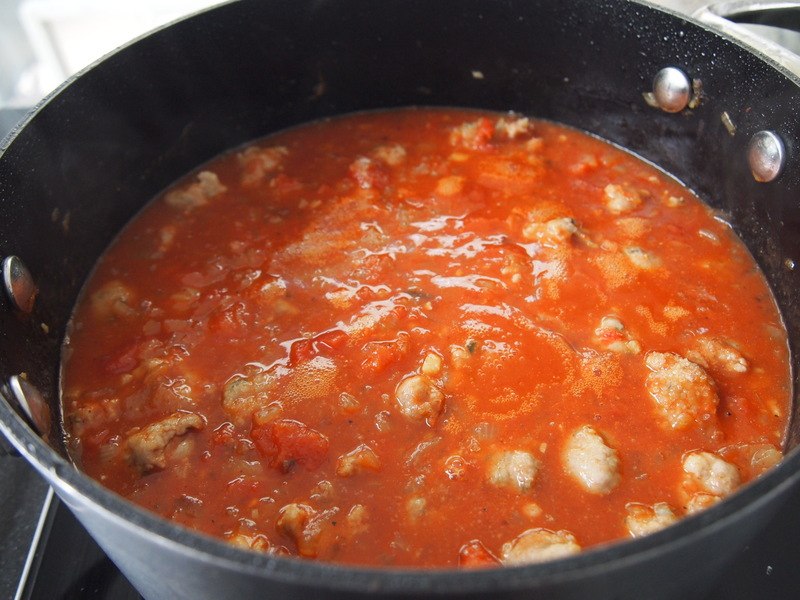 Bring to the simmer and add the sausages back to the pan along with any accumulated juices. Bring to a simmer again and cook uncovered for 20-30 minutes on low heat. Remove from the heat and let it cool. Preheat oven to 180C. Whilst the tomato sauce is cooking place the ricotta, 1/2 cup of parmesan, the egg and the chopped basil into a bowl. Season with salt and pepper and mix until well combined. 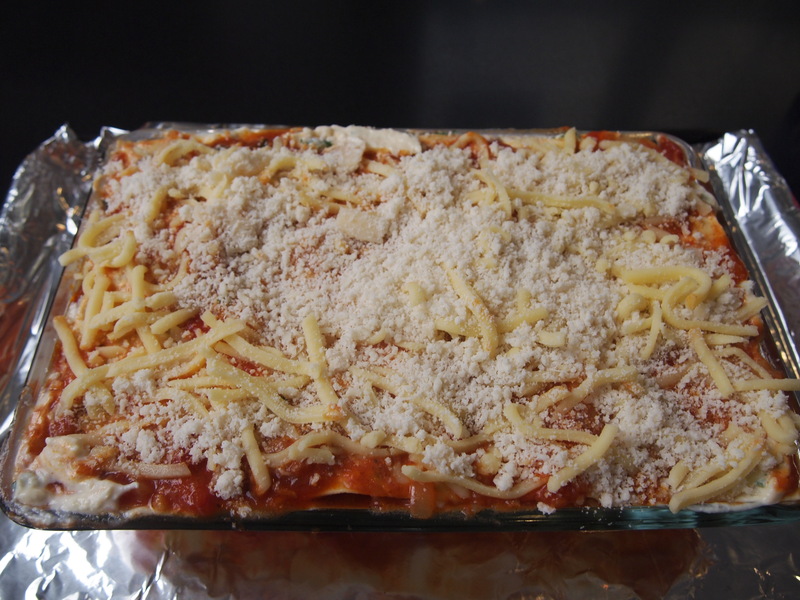 To assemble the lasagna, pour a few spoons of the tomato sauce, without any meatballs, onto the base of a rectangular oven proof dish and spread it out. Add a layer of the fresh lasagna sheets, cutting them if need be to fit and cover the pan snuggly. 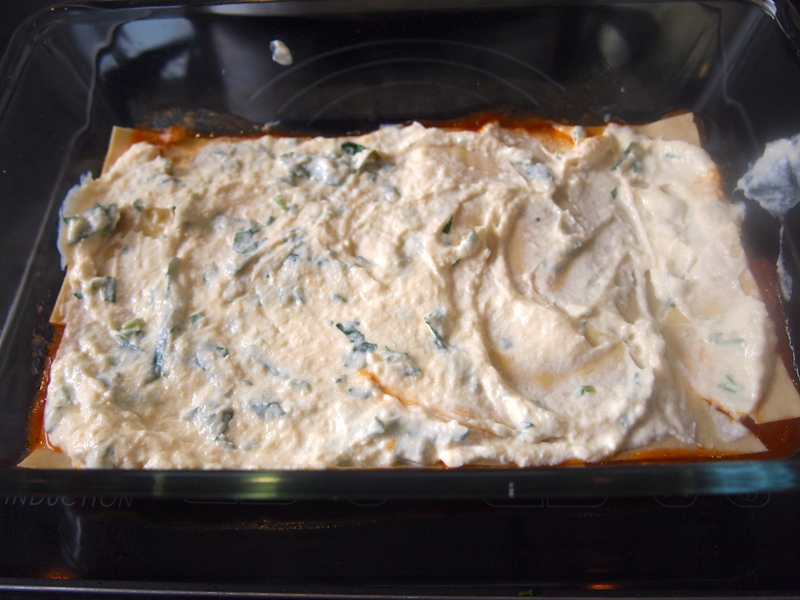 Add a small amount of the ricotta mixture and spread to cover the pasta. 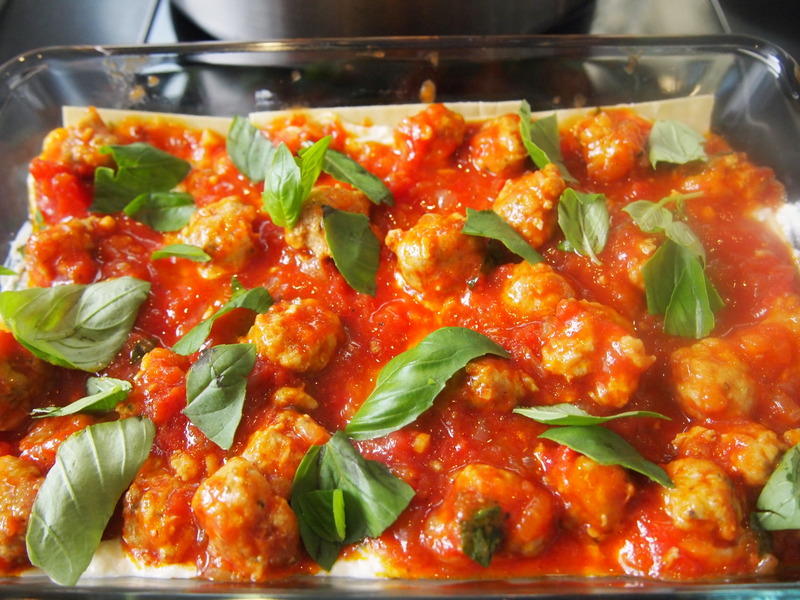 On top of the ricotta mixture add a layer of meatballs with some sauce, a few basil leaves and a handful of the grated mozzarella. Repeat the process until the pan is filled, pressing down lightly after each layer. I like to finish with the ricotta on top followed with just a small smear of tomato sauce and then cover the top with a scattering of grated mozzarella and the remaining parmesan cheese. Bake for 30 minutes or until the top is bubbling and golden. Rest for 10 minutes before serving. Why are all your recipes so, so, mouthwatering ? Thanks Tadeusz2 – there are plenty of non mouthwatering ones, believe me but they just don’t make it onto the blog!